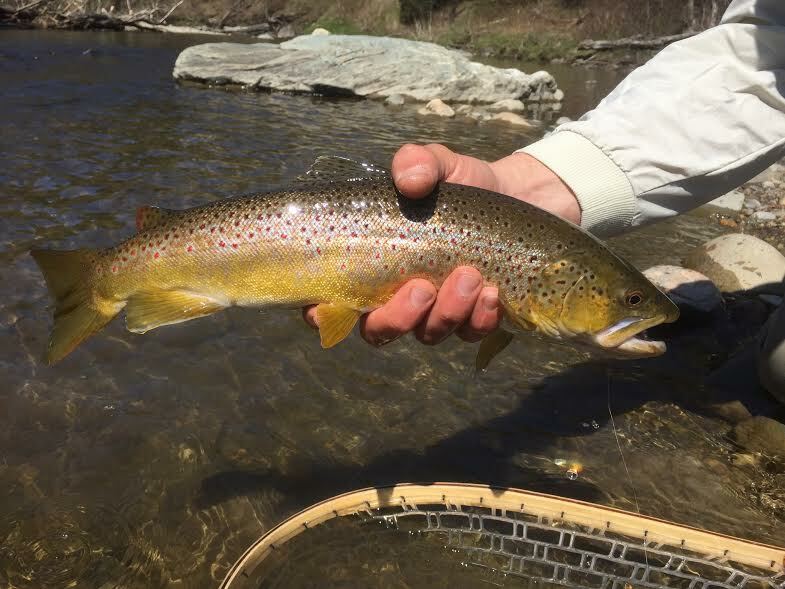 Despite the bright sun (which nobody is complaining about,) fishing conditions are pretty darn good right now just about everywhere. With low flows and bright sun, you have to really be as stealthy as possible on the tribs where the spook factor is high. This upcoming rainy stretch will change things up a bit, so we'll have to see how much rain we get. 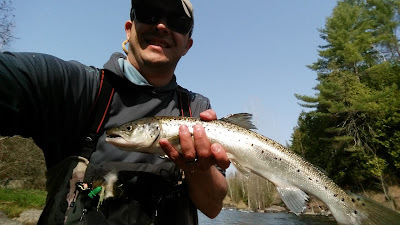 LL Salmon Season is here! Bubba picked up a snakey one today! I've gotten reports of heavy fishing pressure on Lake Champlain tribs that get spring spawning migrations out of the lake. I've done plenty of sight-casting to trout and bass in shallow water. But if I see a fish flashing or digging a redd, I move on like any ethical angler would do. We tend to see these Great Lakes'isms during the seasonal well known runs and it's too bad. Unfortunately, the kissy-telly nature of social media has only enhanced this type of etiquette, bringing more pressure and poor etiquette to areas that don't need it to say the least. I'm even hearing of guys practically camping out on some of our LL Salmon fisheries and squeezing out other anglers. What a load of bologna that is. Fish The Pickle on June 25/26 and this JK Kilroy could be yours!